Dorner recently had a customer that wanted to improve the efficiency of a packaging line. Previously, the set-up had one line moving towards a wrapper. Dorner was able to work with the customer to develop a set-up that allowed two people to move product to the one machine, doubling the capacity. This is a takeaway conveyor from a hand-pack station. Each set of roller conveyors are hand fed a carton full of properly weighed and filled produce. This design allows for two workers to feed into one wrapper, which increases the throughput for the wrapper. 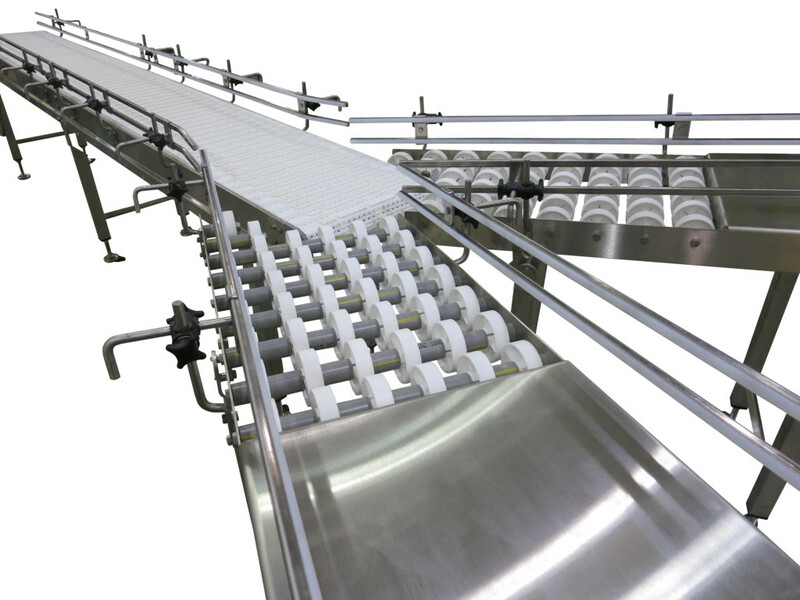 The conveyor is a 7400 AquaPruf wash-down conveyor, ideal for sanitary environments. Find out more about how Engineered Solutions can improve your efficiency.